ISI admission test 2019 will be conducted on 5th May 2019. List of candidates shortlisted for interview is releasing on different dates. The interview is organizing on different dates for various courses. After the interview process, a final merit list will be released in the first week of June 2019. What is my score in ISI exam and rank ? Will the score/rank card be released? If not, how to get the scorecard? result of jrf in maths? When is ISI B.Math result going to be declared?? where is the result of B.sc Maths(hons.)? 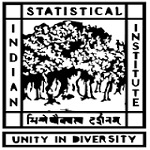 Isi results’2018 why not found? Where the admission board of ISI mention about the result date (saying likely to be release on…) for bstat to be particular. The date is not fixed. Whenever it will release we will update in our article. Tentative date for interview for bath. What is the cutoff in different rounds in B.Math 2017?